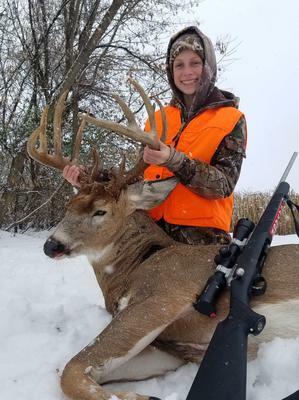 Katelyn Wilkes, 14, of Phelps,NY... Ontario co. shot her first buck on 11/17/18. She shot it with her 6.5 Creedmoor at 130yds. It green scored 154" gross. She said it will be hard to top, but she has many years ahead to try.